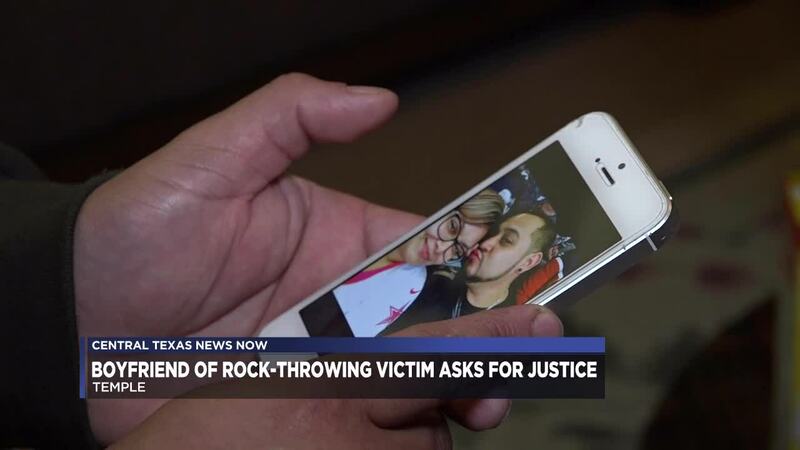 WACO, TEXAS — The common-law husband of a woman who died after someone threw a rock from an overpass to the interstate below is asking for the public's help. Christopher Rodriguez is asking people to come forward with any information that could lead to the arrest of those responsible for killing Keila Flores on March 9. Flores was in the front passenger seat when the incident happened. "I want whoever did this to come forward, to he held accountable for their actions. You took three kids away from their mother and upended a family. You hurt a mother in front of her your young children. How are you able to sleep at night with that on your conscience?" Rodriguez said in a statement. Dominic Braus, a partner of Carlson Law Firm, is representing Rodriguez. The victim's common-law husband called this event as one of the most traumatic experiences in his life. "We can't believe this could happen. It's so awful. There is no way to prepare for this. There is no way to avoid it," Braus said. Braus is helping Rodriguez navigate through insurance claims to cover injuries and repair his vehicle. "In addition to having to cope what they are going through mentally and emotionally having just lost part of their family. They also have to deal with the day to day stuff. Getting the car fixed, getting their car out of the tow lot," Rodriguez' attorney Dominic Braus said. He also said his rental company did not provide him with a rental car. Therefore, he is now using a borrowed car. Temple police took his vehicle for evidence to help them find those responsible. Those responsible could face other consequences, if arrested. "Whoever is responsible for this, can be held accountable in the criminal courts and also in the civil court. That's something we will be able to pursue this for the family. In the event we are able to find who it was," Braus said. If you have any information about the crime, please contact Bell County Crime Stoppers or Temple police.